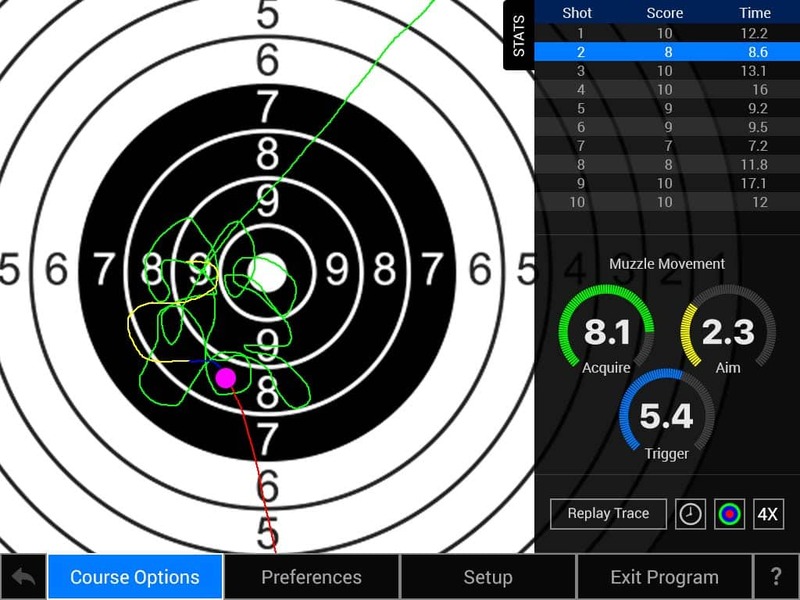 DART Trace™ is a shot tracking software and hardware extension for the DART firearms training simulator. DART Trace tracks the movement of a firearm during all phases of a shot; target acquisition, aim, trigger pull, and follow through. 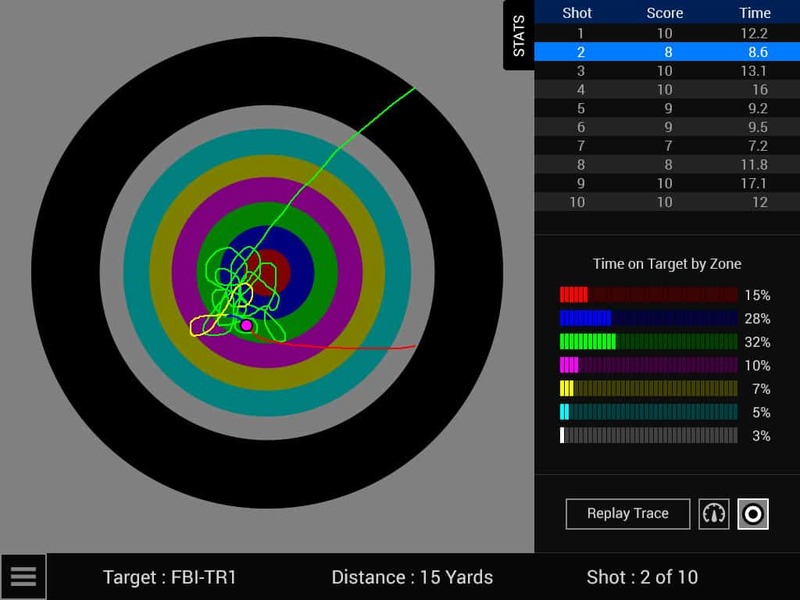 Once a shot is made, the shooter’s aim point can be replayed in real time along with various data points, which can be used to analyze shooting performance. 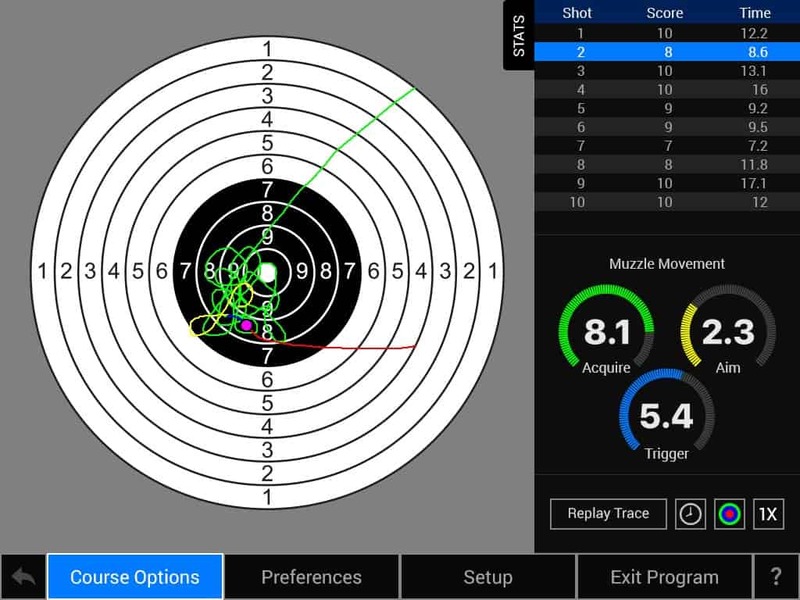 DART Trace is fully compatible with targets and courses developed in DART Creator, allowing for a wide variety of customized drills. DART Trace includes software and a dedicated DART Trace laser weapon for $1,000. The Course Options and Preferences menus feature options for loading and running courses, running practice sessions, and controlling audio and visual settings. After a round of shots is made, details can be viewed and analyzed in the Stats panel. The Stats panel provides detailed information about each shot including, shot count, score, time to shoot, and tracking information. Tracking information includes information on the aim and movement of the gun during aim, trigger squeeze, and follow-through phases. Tracking information can be displayed as relative speed or as a percentage of time the aim was fixed on specific areas of the target. The DART Trace Stats panel displays shot count, score, timing information, and detailed tracking information. The round gauges in this screen show the relative speed of the muzzle before and during trigger pull. DART Trace allows you to zoom into any area of the target. In this screen, the green line shows the trace of the aim point leading up to the shot. The yellow line indicates the aim for one second prior to the shot. The blue line indicates the aim point 0.2 seconds prior to the shot (the time it takes to squeeze the trigger). The red line indicates follow-through after the shot has been made. Targets may also be displayed as a series of colored zones, along with the time the aim point stayed in a particular zone expressed as a percentage.